Sometimes we can’t help but love a movie that a lot of people despise. Whether we feel it’s misunderstood (which for me, is the case here), or are just willing to overlook obvious flaws for one reason or another, our feelings are unbending to the vitriol from others. This week, we’re taking a look at one of my favorite modern sci-fi movies, somewhat of a prequel to my all-time favorite movie, and, visually, one of the most brilliant cinematic experiences of all-time. Last week Aaron webbed Michael into watching Spider-Man 2. This week Michael takes Aaron out from under the proverbial rock for Prometheus. Michael Ornelas: I kind of already spilled my heart about this movie at the top, but yeah, I absolutely love this movie. It’s such an imaginative piece of visual art, and despite some nitpicks from the common Joe, I have yet to sour on this film. The story dives into the origins of my favorite movie monster ever (the Xenomorph) while juggling its own characters effectively with a fantastic ensemble cast. Thematically, this film is also a force to be reckoned with. Anyways, Aaron, what’d you think? Aaron Hubbard: My opinions on the film are generally positive but somewhat reserved. I think it is thematically dense and fun to analyze, and has (mostly) strong performances. But it didn’t quite grab me as much as it did you, partially because of some of the themes. Michael: While it would have been really easy to dive back into a story involving Xenomorphs on their home planet, or overtaking another one, Ridley Scott chose to go in a different direction with this film, and I appreciate that. 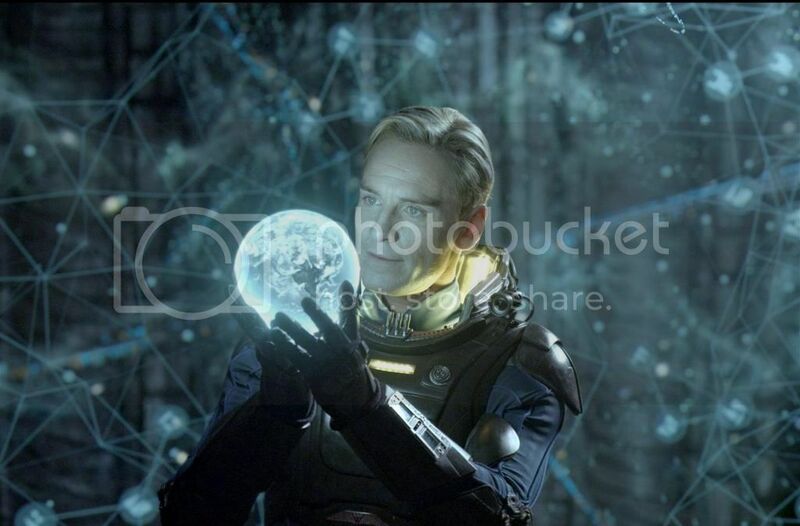 What we saw in Prometheus was the creation of a whole new world (even literally, based on the opening scene), and then we got to see our characters explore this planet that’s new to the lore. Everything had an updated look, the story surrounded the findings of the planet, and we got our chance to “meet our maker,” so to speak. This world was stunning, from ship design to the relics and even the costumes our characters explored it in. I knew I was going to enjoy this movie as soon as I saw the scene with David on the ship alone come to fruition. The way that was all done spoke to me as a fan of the visual components of film, and it carried the movie forward for me. Aaron: I think you can go back to the original Alien film and see a lot of the same things on display: Ridley Scott knows how to tell a story with images. We learn about David primarily through watching his routine, we learn about the Engineers mostly through drawing conclusions from visual evidence. I really enjoyed this aspect of the film as it made me feel the same sense of discovery that Elizabeth Shaw was feeling. In a sense, this movie is kind of an archeological dig; there aren’t obvious answers but they are there if you look hard enough. Michael: That’s a great way to look at it. To one-up my delight with the imagery of the movie, I want to also address the fact that this may be one of the prettiest 3D movies ever. Most of it is subtle, but the depth creates a richness that makes it feel like you’re on a distant planet. And also the scene in which David is looking at the solar system hologram is a masterwork in 3D technology. I love it so much (and this viewing for me was in 3D). Aaron: Prometheus is a film I actually knew a fair chunk about before seeing it; the level of divisiveness was pretty legendary, so I was always curious as to what made people hate or defend it so much. There are a lot of themes here, but the one I enjoy most is the one that ties into the title: Prometheus was a God who brought fire to mankind and was punished for it. The film has several recurring allusions to the myth that gave the film its name. Ideas of self-sacrifice, divine benevolence, and blasphemy that must be punished are the core ideas at work and they are fascinating to see. Michael: So yeah, it’s the themes that pervade this movie that make it such an interesting movie, in my opinion, because some otherwise “illogical” plot decisions actual serve to further the theme. For instance, each of the characters represent polar opposites (in multiple categories). Good vs. Bad, pursuit of wealth vs. pursuit of knowledge, self-sacrifice vs. self-preservation at the expense of others, etc. It’s interesting to me to see the embodiments of those ideas all interact with one another and see where the plot goes if they don’t stray from their ideals. Aaron: For me, sadly, some of the themes also detract from the film. While it isn’t Ridley Scott’s fault or anyone else’s fault that Christ allegory is all over the place in film, I couldn’t help but feel a little tired of it while watching this movie. I don’t need Engineers to be stand-ins for Jesus or Xenomorphs to be stand-ins for Satan. Sometimes the search for answers is more satisfying than the actual answers, as David alluded to. I did like that Shaw is both a scientist and religious. It was cool to see somebody use science to reinforce her faith and her faith to motivate scientific discovery. Michael: One thing that most prequels fail to do is get out of the shadow of the movie they’re preceding. Instead of enriching the world, they often just serve to just show us the events that led to the original. Now the problem with that is that there’s usually a reason writers start original movies where they do: they’re the most interesting and logical place to start the story! Prometheus, for better or for worse, has nothing to do with the Nostromo or Ripley. It’s a completely new story with loose ties to Alien that are still, to this day, not fully-defined (though that looks to change next year). I personally love that. It’s a rewarding viewing experience because it chooses to focus on its characters and own original story instead of just how it ties into what comes after it. Aaron: Doing a sequel is tough because you have to live up to a legacy. Doing a prequel is even harder because a lot of the drama is missing. We know Anakin will become Darth Vader, we know Captain America will make it through The First Avenger so he can be in The Avengers. 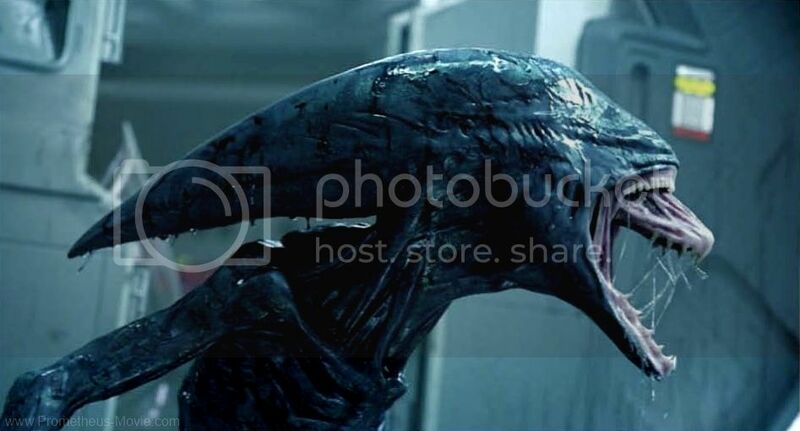 Prometheus may be the best prequel I have seen because it isn’t about Ellen Ripley and isn’t even directly about the Xenomorphs or the Engineer we saw in Alien. It’s just a world building film that can enrich the original, but isn’t a slave to its legacy. Michael: A prequel about Ripley would be almost impossible because she wasn’t really all that special until the Xenomorph showed up, and even then, it took her a bit. She has the survival instinct needed to last through the franchise, but she’s still very timid in the original. I’d watch it if they made it, but the alien really pushes her to her full potential. 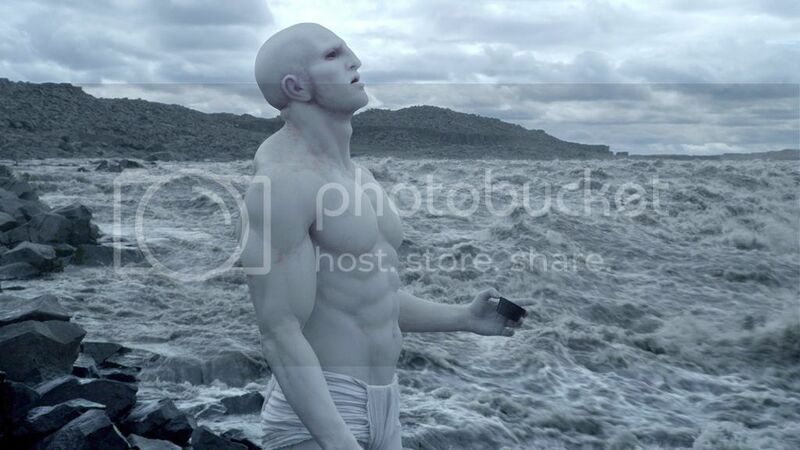 Aaron: Prometheus is divisive and I don’t think it really should be. It’s largely enjoyable and has layers to peel back. It’s not a popcorn film like Aliens, but it didn’t need to be. That said, I didn’t latch onto this one and I don’t think I will be watching it over and over. It’s good, just not a personal favorite. Michael: Visually speaking, you’d be hard-pressed to find a sci-fi movie that looks better than this one. The sets, costumes, and special effects all meld together to create one of the most pleasant cinematic experiences ever. Thematically, this movie is a masterpiece as well. 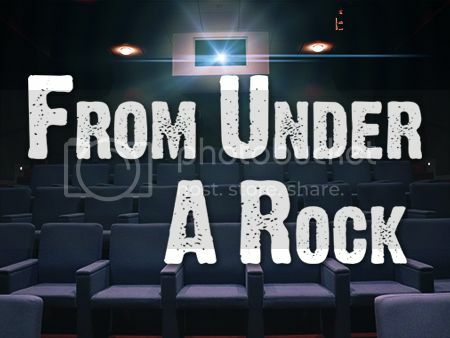 There’s so much beneath the surface, and it’s what drives this film forward for me. The only weak points are some of the lesser characters (but even Aliens suffered from that) and a couple plot points that weren’t necessarily bad for me, but could have been better. Aaron: Can you imagine how disappointing it would be if Ridley Scott made this just because he could? Michael: I wouldn’t be disappointed at all. I still liked it. But you’re also telling me in Facebook chat that this is a reference to the movie itself, and I’m not good at remembering quotes so…*shrug*? Are you as amped for Alien: Covenant as we are? Aaron: Next week we both get introduced to one of the most popular crime movies of all time, something I am definitely looking forward to seeing. Michael: The fact that we have both made it this far in life without seeing this is definitely something that needs fixing, so I’m glad we’re making it a point to climb this mountain (of cocaine). Aaron: I have always been sort of leery of it to be honest. Hopefully those fears are unfounded. 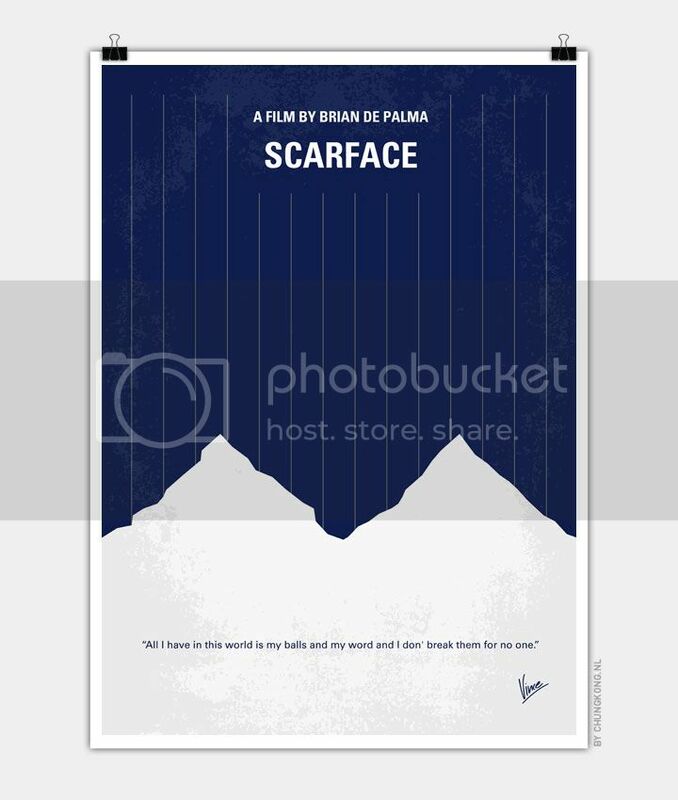 What is your favorite Al Pacino role? This week on 411 Comics Showcase, I traverse the controversial graphic novel The Killing Joke and its recent film adaptation. This film is still polarizing to this day (I have a lot of friends that spew vitriol when talking about it), and I don’t get it. At worst, it’s a little disorganized, but thematically and visually, it’s quite impressive. It also managed to create new characters in a world many people love and treat them with the care necessary to make them stand apart from the franchise’s status quo. If you truly hate this movie, I can’t convince you otherwise. But if you haven’t seen it, I actually recommend it very strongly.